As everybody known, the RPGT rates on gains has been raised from disposing of real properties with effect from 1 Jan 2014. Under this new property ruling, any gains on properties sold within the period of the first 3 years, the RPGT rate is increased to 30% to individual and companies as well. Those holding within the period of 4 and 5 years, the RPGT rates were increased to 20% and 15% respectively. However, for properties sold in the 6th year or thereafter, no RPGT is imposed on any transactions happen on residential units whereas commercial ones are taxed at 5%. 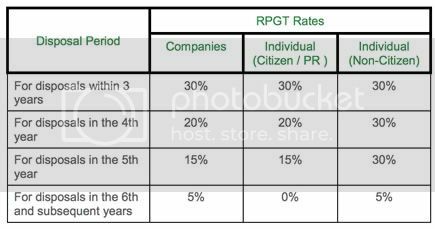 For foreigners, the RPGT is imposed at a rate of 30% for properties sold within the holding period of 5 years, and RPGT rate is imposed at 5% for any properties sold in the 6th year and thereafter. Let say Mr. Lee bought a unit of condominium from a property developer on 1st March 2012 at a price of RM 265,000 and sold his property on 1st Jan 2014 at RM 350,000. So, this property is sold within 2 years from the date of purchase. The build-then-sell (BTS) concept is based on a 10:90 concept whereby the property buyer just need to pay 10% of the purchase price, then pay the remaining 90% of the purchase price upon the completion of the property. The conventional approach – sell-then-build (STB) require the buyer to pay 10% of the purchase price upon the signing of the Sale & Purchase agreement (SPA) and the remaining 90% is progressively paid to the developer in accordance to the stages of construction. 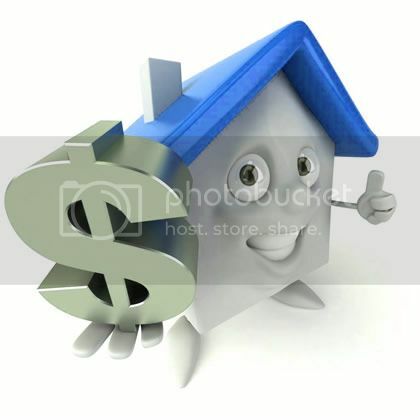 The property buyer can choose to pay the developer either by cash or housing loan. In the other words, the property buyers get the loan from bank to finance the developer during the construction of the project. Everything we touch seems to be related to taxation. However, not many are fond of taxation but somehow; we have no choice but to acknowledge its importance because the only things certain in life are death and taxes which no one can escape from. While most of us work hard to increase our wealth and like to accumulate it via investment in properties when opportunities arise, some may have concerns on whether they are wealthy enough in the eyes of the Malaysia Inland Revenue (IRB) to afford properties which are viewed as “big ticket items”. This is especially for those who are pocket rich but who might not have declared their full taxable income to the IRB. 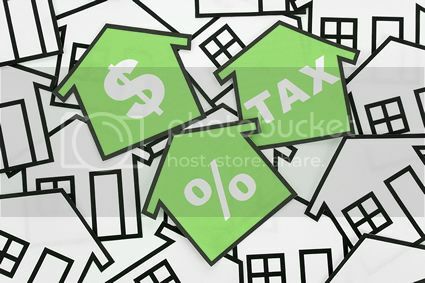 They are therefore not very sure if the IRB will pay them an unexpected visit when they start investing in properties. Hence, I noticed that if a person has yet to fully declare his true income which he has earned, he may choose to keep himself away from the radar of the IRB by being less active in property investment even though he is rich. Nevertheless, most people including me agree that owning a roof over our heads is one of the most important personal goals life. In addition, putting our extra money in property investment could possibly bring better returns as compared to keeping our hard earned money in cash or placing it with the banks which can only give us a small return ranging from 0.2%-3% per year. Personally, I feel that at the end of the day, investment in properties is still smarter way to preserve and grow our wealth over the long term. 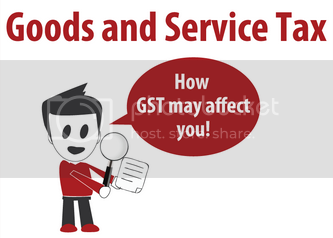 In addition, with the proposed implementation of the Goods and Services Tax (GST) come April 1, 2015, most goods and services including certain properties will be subjected to 6% GST. This will affect the supply of property which will potentially impact the top and bottom line of property developers due to the expected increase in costs. Thus, with the coming GST, many are interested to know why it will affect the property market. Will GST Exemption Lower the Property Prices? The expectation is quite high that an increase in the Real Property Gains Tax (RPGT) and an abolition of the developer interest bearing scheme (DIBS) will dampen the property market. But, there has been little attention on our government’s move to exempt residential properties from the Goods and Services Tax (GST), which is going to replace the current Sales and Service Tax (SST) effective from April 2015. Do you think the prices will drop or remain unchanged? To me, it is very unlikely. Why? First, there is a need to understand GST and the supplies that come under it. As for exempt supplies, the category in which the residential properties have been placed are not subject to GST. So, businesses providing exempt supplies cannot charge GST on the final product to their consumers. However, those developers who are not eligible to claim input tax from the government on GST paid will then be saddled with additional costs due to the 6% of GST which is payable on almost all its inputs such as construction cost, services, building materials, etc cannot be claimed from the government. Being business entities, they will most probably pass on the non-claimable tax to the consumer end. What Should Know About Auctioned Property? There are many ways and means to go about buying a piece of property, whether to live in or as an investment. However, looking at today’s rising costs of living, belts need to be tightened, and married couples both need to work hard in order to enjoy a comfortable lifestyle. Still, there are those with financial freedom plans, always look out for good investments to increase their wealth and enjoy their life’s comforts. And, they found that by investing in auctioned property, it is one of the smartest ways to grow their fortune. 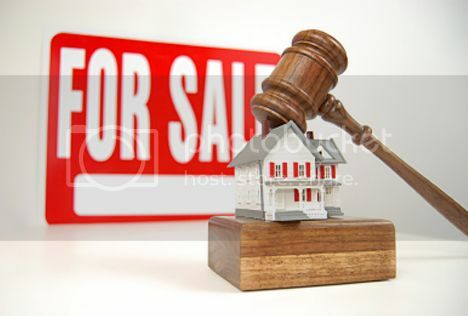 For property investors, auction is a great place to buy properties at negotiated prices. However, you must be fully educated on all aspects of auctions in order to achieve success using this strategy. Knowledge makes the difference between making money and not making money. The first timer need to first understand how auctions come about, and what goes on at the credit or legal department of banks before a property is put up for auction. There are all kinds of property types up for auction. It can be ranged from residential to commercial or even land. One can actually bid for auctioned properties through auctions hosted by the Land Office or the High Court or via private auctions conducted by licensed private property owners.